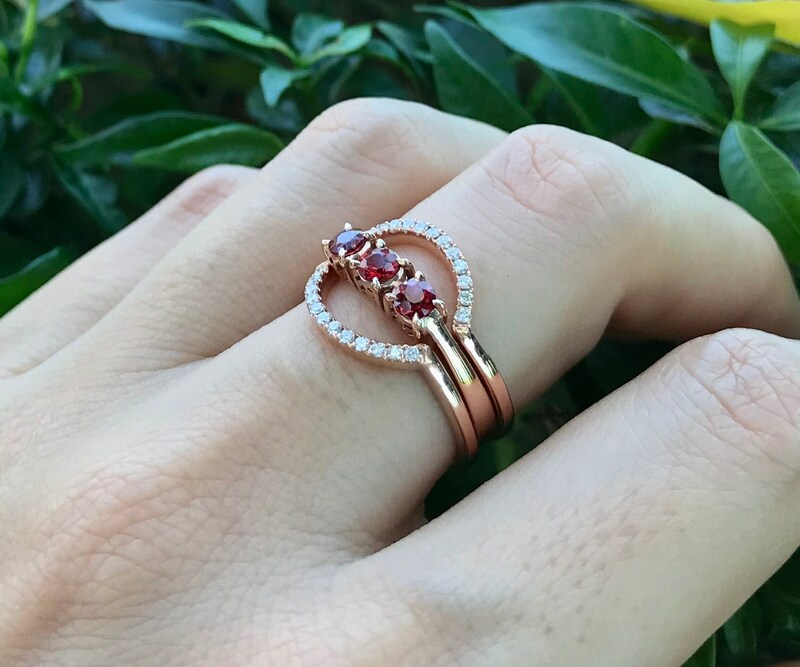 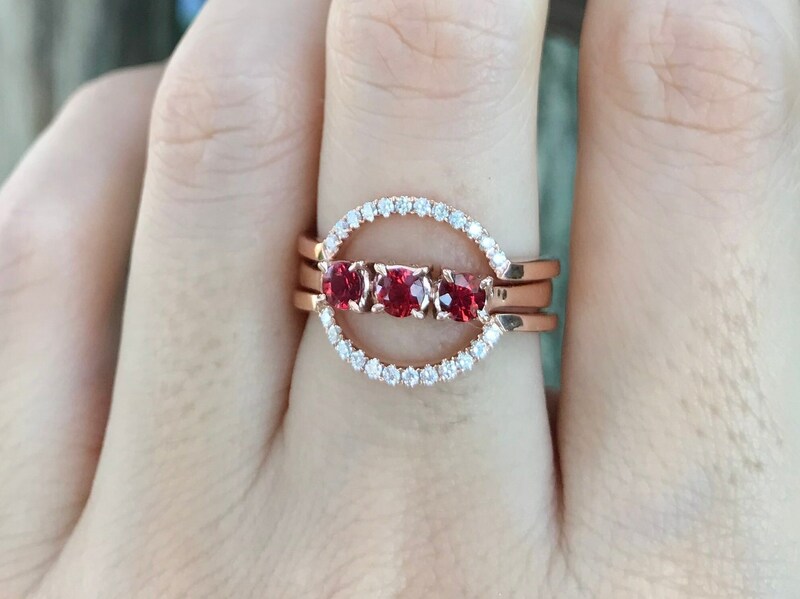 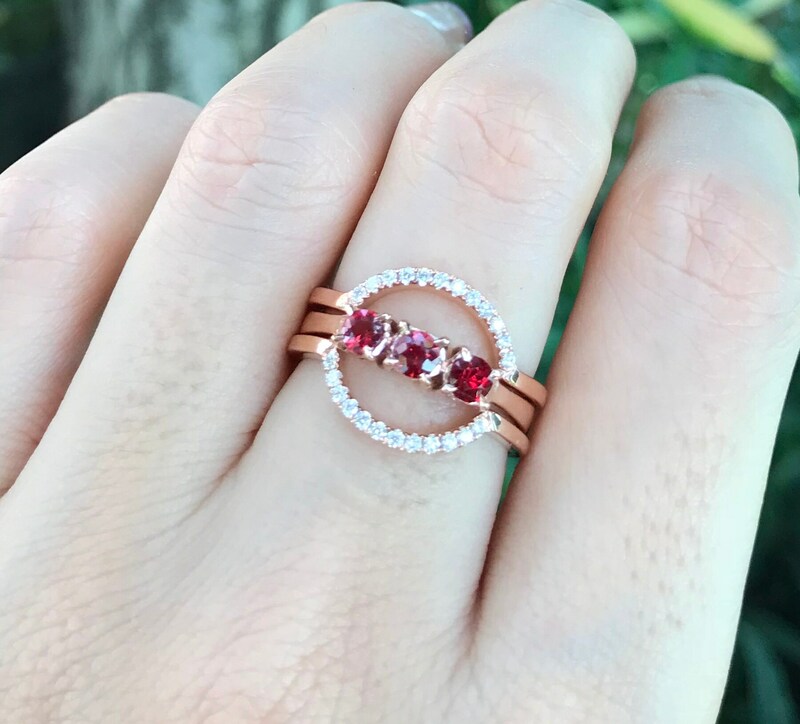 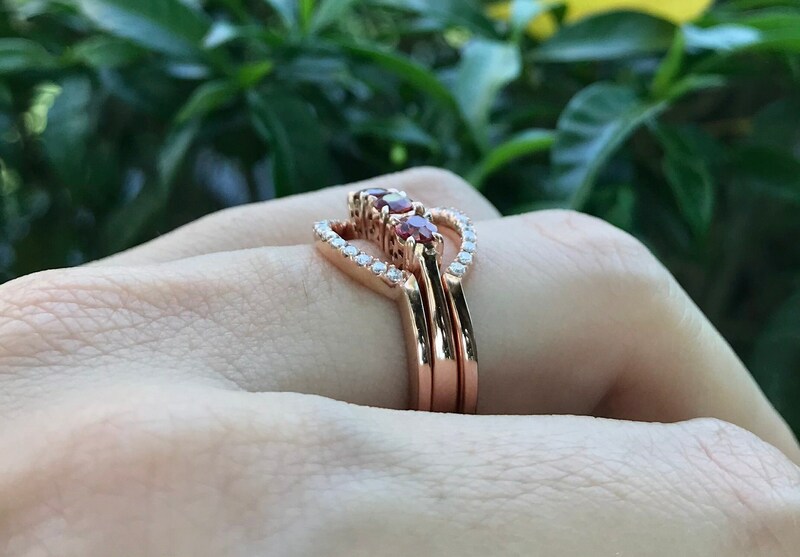 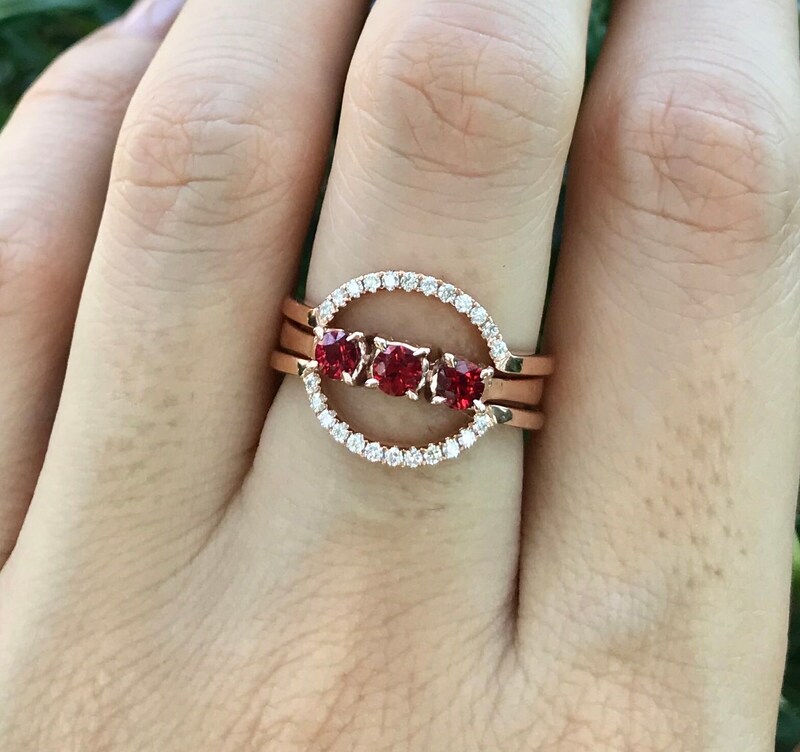 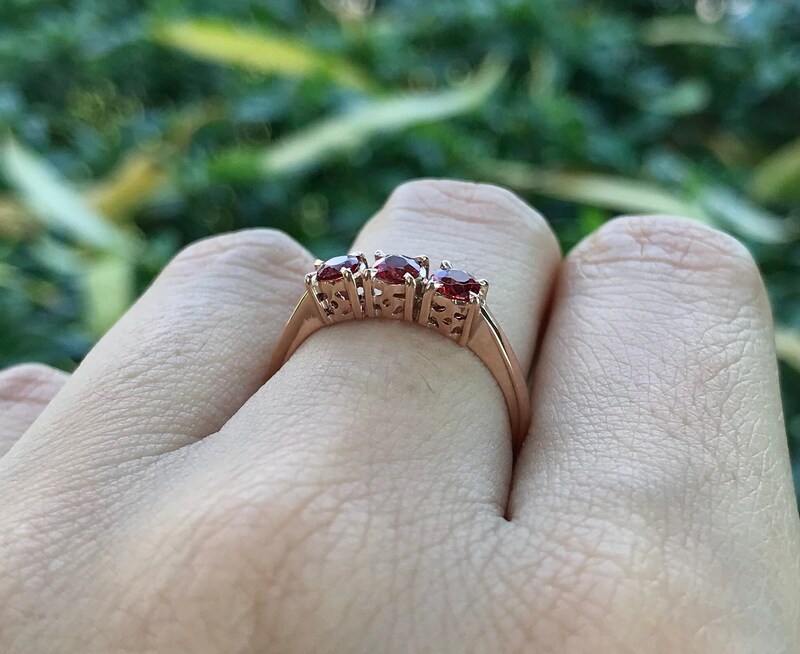 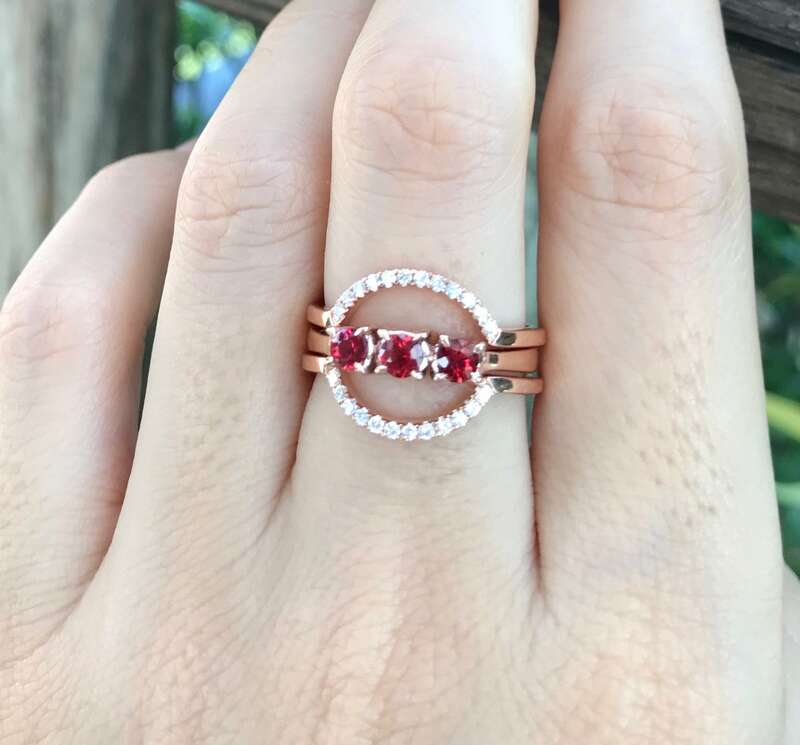 A unique three separate ring bridal set featuring round-shaped unheated genuine ruby prong set featuring two matching semi-circle bands with pave-set petite geunine white diamond handcrafted in your choice of 18k/14k White, Rose or Yellow Gold. 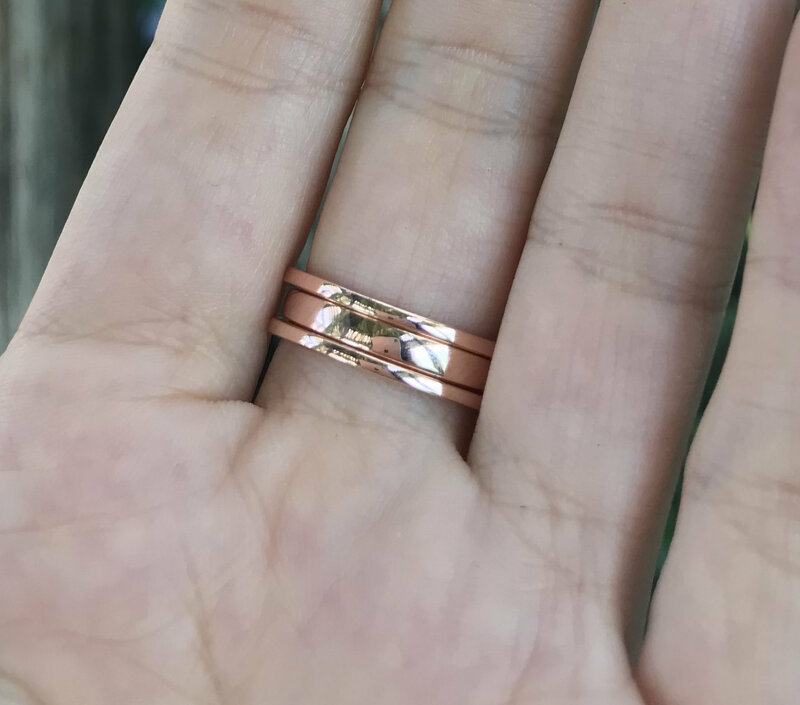 This ring a nice three stone anniversary ring, which is a symbolic reminder of a couple's love and commitment of the past, present and future. 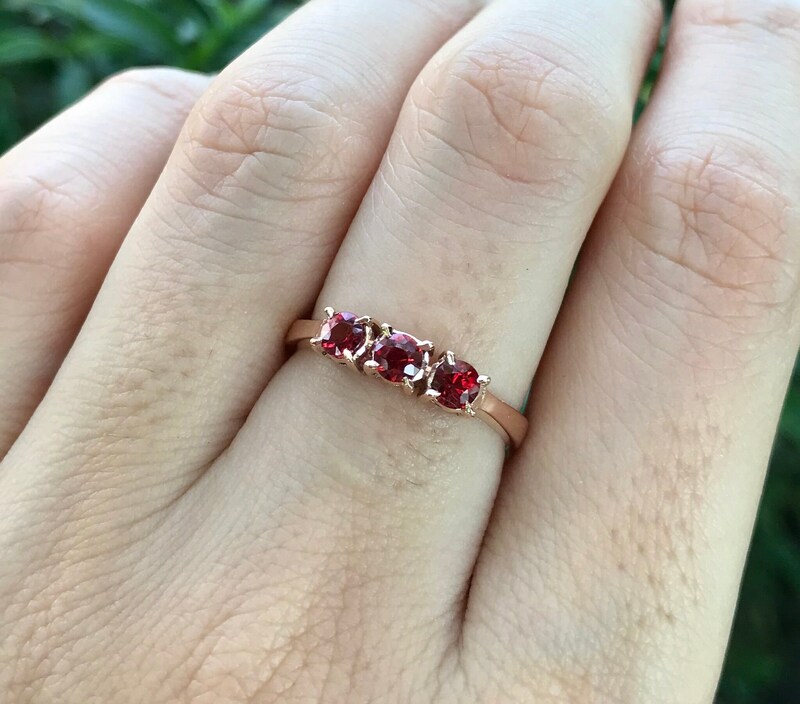 Ruby is a gorgeous red vivid color, top notch quality!